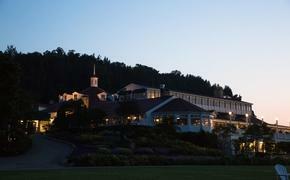 Several hotel companies and brands are pitching in to give back to the community this week. That includes Hilton Worldwide and Pyramid Hotel Group. As part of Hilton Worldwide’s third annual Global Week of Service, Oct. 19-25, Hilton’s Shanghai office helped raise awareness for the natural environment and spent time with an elderly community at a local retirement home. In promoting awareness of the environment, Hilton’s Shanghai office worked with Hilton’s four hotels in the city— Waldorf Astoria on the Bund, Hilton Shanghai, Hilton Shanghai Hongqiao and DoubleTree by Hilton Hotel Shanghai Pudong—to collect and donate coffee grounds. Hilton team members also engaged with children from the Sunshine Home—a school for the mentally disabled at Minhang District—where they applied the coffee grounds as organic fertilizer at Xingeng Workship-Cenbo Ecological Culture LOHAS Village, an organic farm in Qingpu District. The group also learned about organic farming by harvesting corn, sesame and other plants. At Longxi Elderly Nursing Home, team members gifted hand-decorated flowerpots, each including a plant grown using the organic coffee grounds. 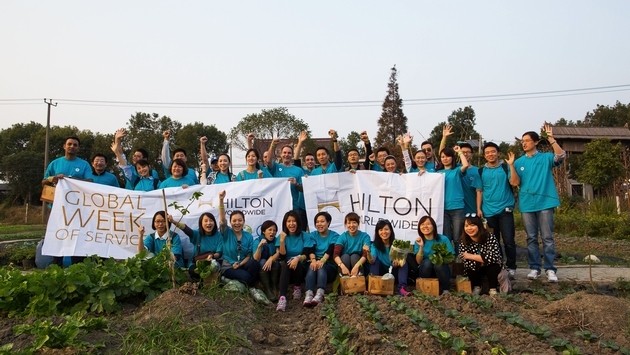 "We are proud to partner with Hilton Worldwide once again during this year's Global Week of Service," added Richard Brubaker, founder and executive volunteer of HandsOn Shanghai. "HandsOn Shanghai and Hilton Worldwide worked together on several successful projects previously, such as Beach Cleaning Project, Healing Home Project and Stair Climbing Project. This year's cooperation signifies yet another successful partnership between our two organizations to make our community healthier, greener, more prosperous and equitable." More than 6,500 miles away, 75 associates from Westin Lake Las Vegas Resort & Spa served breakfast to 950 students at nearby CT Sewell Elementary School on Oct. 23 as part of Pyramid Hotel Group’s first annual “Pyramid CARES” Community Service Week. Associates served students eggs, bacon, potatoes, mini muffins, juice and milk to back up the mission of Pyramid CARES Community Service Week, which is to strive for the betterment and well-being of the community (No Kid Hungry studies show that students who eat breakfast show consistent improvement in verbal fluency, arithmetic, memory, creativity, physical endurance, and general tests of academic achievement and cognitive functioning). Westin Lake Las Vegas Resort & Spa has a long history with CT Sewell Elementary School dating back to 1999. Associates have led school supply drives, engaged in health and benefits fairs and participated in Nevada Reading Week. For more on Hilton Worldwide, visit www.hiltonworldwide.com. For more on Westin Lake Las Vegas Resort & Spa, visit www.westinlakelasvegas.com.